As we continue in deep summer, not only is my vegetable garden doing quite well, but I have discovered a great number of wild flowers and other plants that I either hadn’t noticed before or have suddenly appeared at the edge of what was once an open field. Sumac bushes/trees are particularly spectacular this year. Over the years as the field has returned to its more natural state of wildflowers, fledgling evergreens and other vegetation, sumacs are making a major statement. Hanging from the thin branches are dozens of reddish, cone-like flowers/fruits, about 4 or 5 inches long. They are lovely and add a great spike of color to a wildflower bouquet. 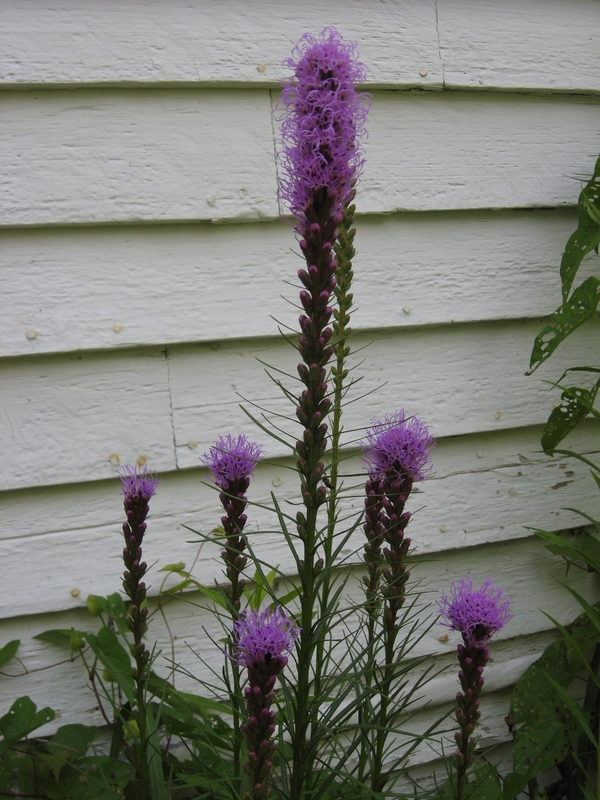 Continuing into the unknown, at least for me, are some spectacular purple spikes of fluffy flowers that suddenly appeared in my flower garden. The plants are about 18 inches tall, with each boasting a bright, colorful flower on the top. No doubt, our many resident bird species have dropped their poop which was filled with such seeds. 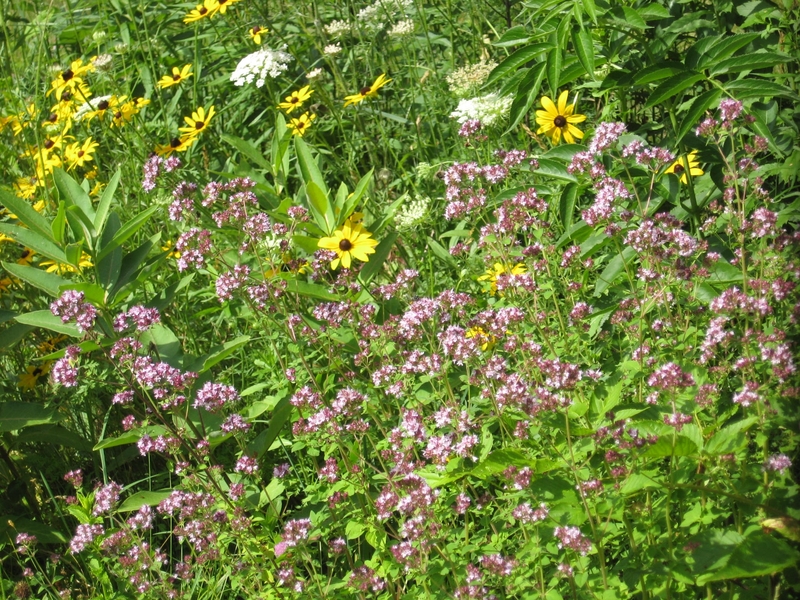 Of course, the usual daisies, black-eyed Susans, yarrow and Queen Anne’s Lace are plentiful as well. As are the fleabane, a not-so-nice name for the clusters of tiny white and yellow flowers that resemble small daisies. I’ve never seen such a variety of or as many wildflowers as I am seeing this year. Soon to come will be the very sweet-smelling red or yellow hawkweed, the fragrant milkweed blossoms and several other flowers (some would call them weeds, but not me). This is an incredible year for wildflowers, so much so that having planted very few annual flowers this year will not affect the bouquets I plan to create and those that I will continue to create right through the dainty goldenrod blossoms. While I marvel at the abundance of wildflowers, I am also pleased with what’s happening in the vegetable garden. 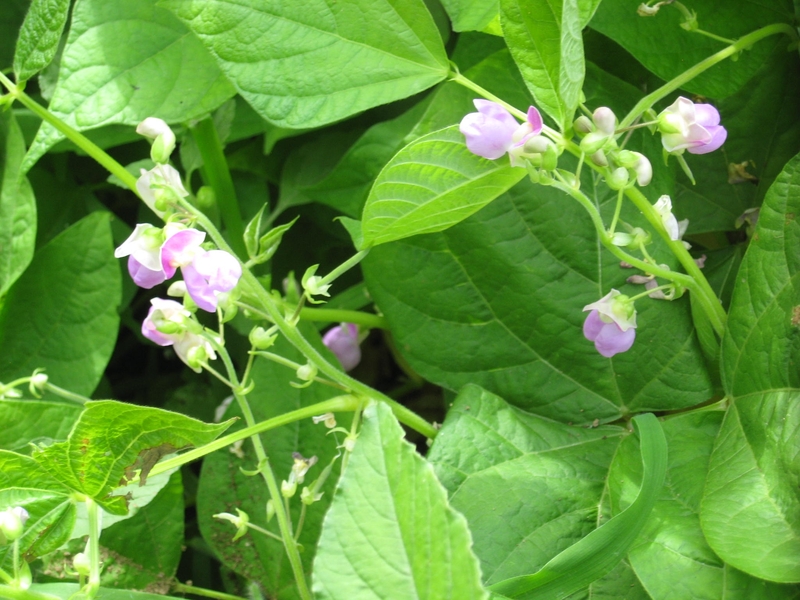 The green and yellow bean plants are doing very well and it’s just about time to pull up a few potato plants so we can enjoy the robust tastes of a fully-grown potato in a small fruit. Meanwhile, the old Baldwin and Wealthy apple trees remaining from what was once an entire orchard many years ago seem to be producing a record-breaking number of fruit. Wild raspberries and blackberries are doing quite well, promising yummy pies and jam. The raspberries are already producing and the clusters of green blackberries promise an abundant harvest in a few weeks. One fruit that is missing, though, that was once abundant on our land is wild chokecherries. When they were plentiful, I would make chokecherry jelly which was a delight and no doubt familiar to many people who have harvested wild fruits and berries now or in the past. The end of July is the time for the wild berries and fruits to show their majesty. Meanwhile, in the vegetable garden, the tomato plants seem to have escaped, so far, the blight which I have often had to contend with in the past. The voracious Japanese beetles are still around, but in much fewer numbers. This, I believe, is the result of the milky spore fungus we placed near the garden and berry patches a couple of years ago. Although comparatively expensive, the milky spore is very good at keeping away those shiny beetles, and as result, allow for more abundant crops. Late July, and our magical earth shows us so much of what she can do. I hope you will get outside and look around — there are so many wildflowers and other plants right now. I believe it’s good to imprint in our minds (or photograph), to reflect upon when the snow is blowing and we wonder if our supply of wood will get us through the winter. Wildflowers at the edge of a former field. Bean blossoms on a plant in Eileen Adam’s garden. 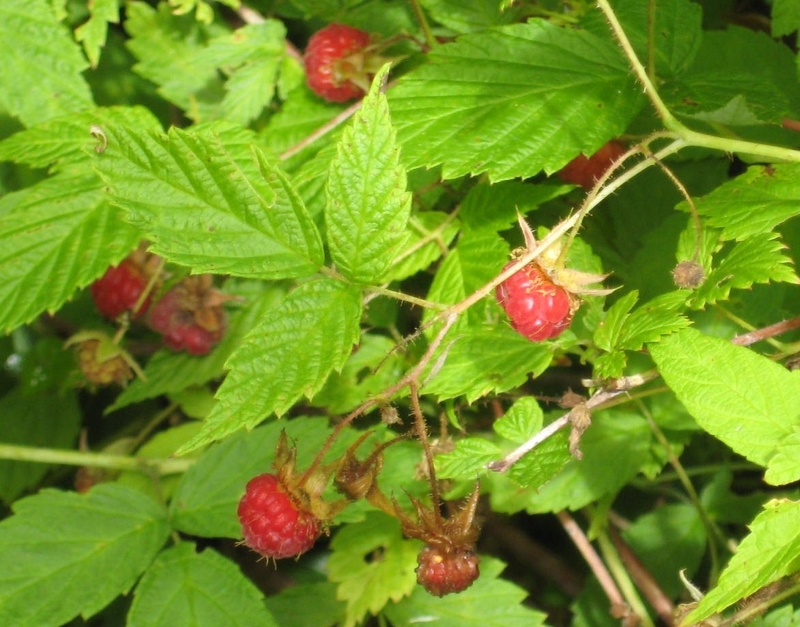 Wild raspberries are growing in abundance this summer.